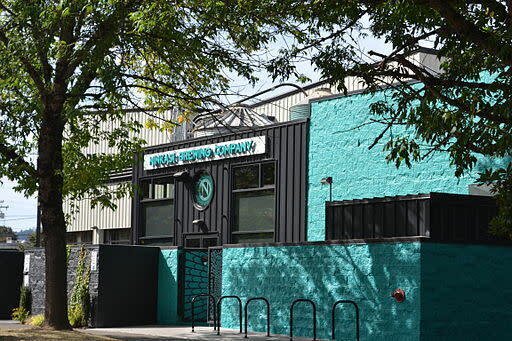 Northwest of downtown Eugene and the Duck's Nike-padded nest, the Whiteaker neighborhood has long been a must-stop on devout beer lovers Eugene pilgrimage, thanks to Ninkasi Brewing, which planted its flag here in 2007. But hop heads soon will have even more reasons to visit Whiteaker, when more tasting rooms and breweries open in this developing district, which has gained foodie cred in recent years with the addition of culinary up-and-comers like the Pizza Research Institute, coffee roaster Wandering Goat, Sweet Life Pâtisserie, and an East-meets-West, whiskey-centric Japanese small-plates pub. Here's the one-sheet for what's on the way. Oakshire Brewing is mid-construction on a tasting room across from the Wandering Goat tentatively set to open in April. But starting in March, you can sip its Watershed IPA from a can thanks to a new canning line. Springfield's Hop Valley Brewing will debut a tasting room in its new Whiteaker location on 1st Street in March. The musical heart and soul of Whiteaker, Sam Bond's Garage, is also currently in the process of setting up its own brewery, though an official release date has not been announced. And Ninkasi's current expansion, which will give the brewery the capacity to brew 295,000 barrels a year, should be complete in 2014.